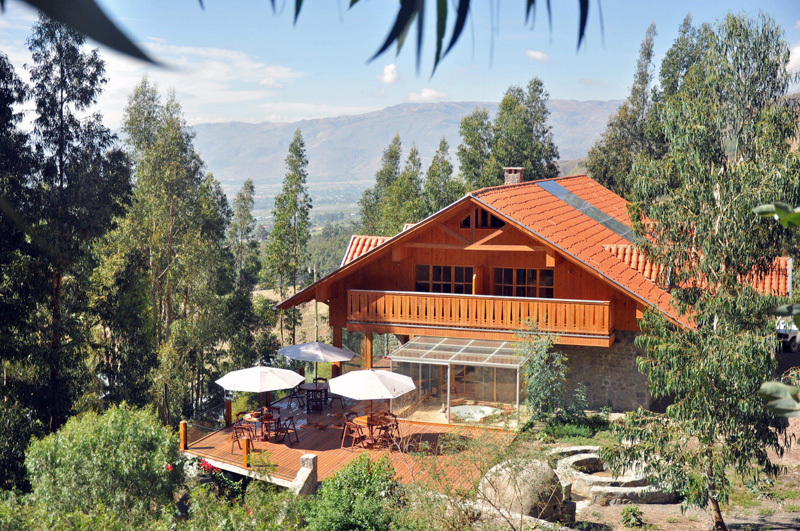 Nestled in a private 30ha eucalyptus forest on a hillside at the foot of the majestic Cerro Tunari (5,035m), and overlooking the Cochabamba valley. 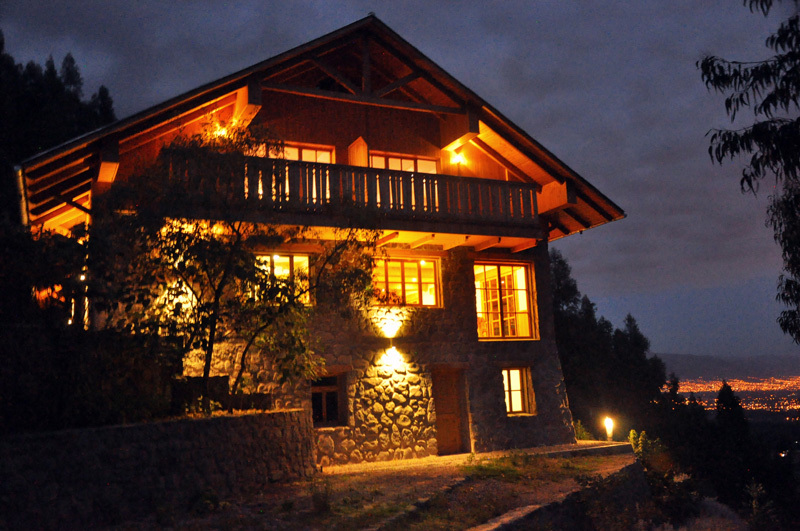 Our alpine style mountain lodge at 2,900m above sea level, welcomes warmly its guests for a relaxing, romantic or an active escape (altitude acclimatization) in the mountains above Cochabamba. 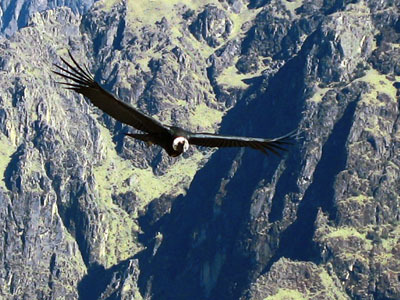 Come with us to see the condor flying on our guided trekking tours into the Cordillera Tunari. Enjoy our 9 spacious and comfortable equipped suites with electric heating and balcony. Relax in our living room with a private (German) library and a huge chimney for a romantic dinner watching the lights of Cochabamba beneath; or in our Spa with sauna and ofuro (jap. jacuzzi), and a huge terrace – A fusion of proximity to nature, luxury and welfare. 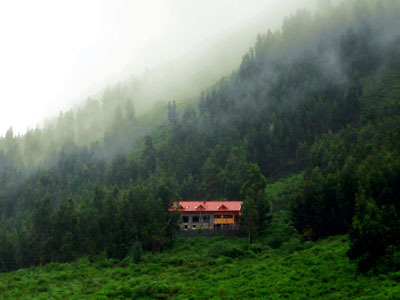 We invite you to have an unforgettable stay at our Berghotel Carolina.